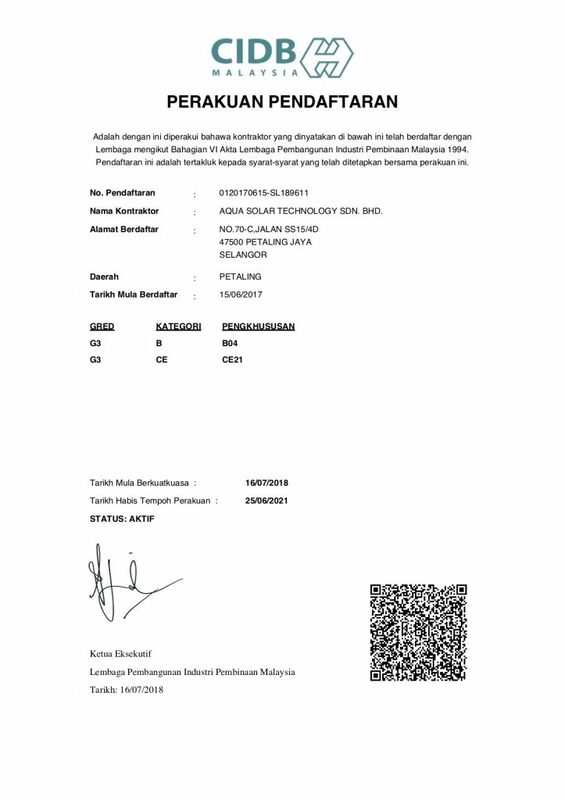 Aqua Solar Technology Sdn Bhd is a local based manufacturer of solar water heater.. We offer the technology for Solar Hot Water System (Solar Heaters). 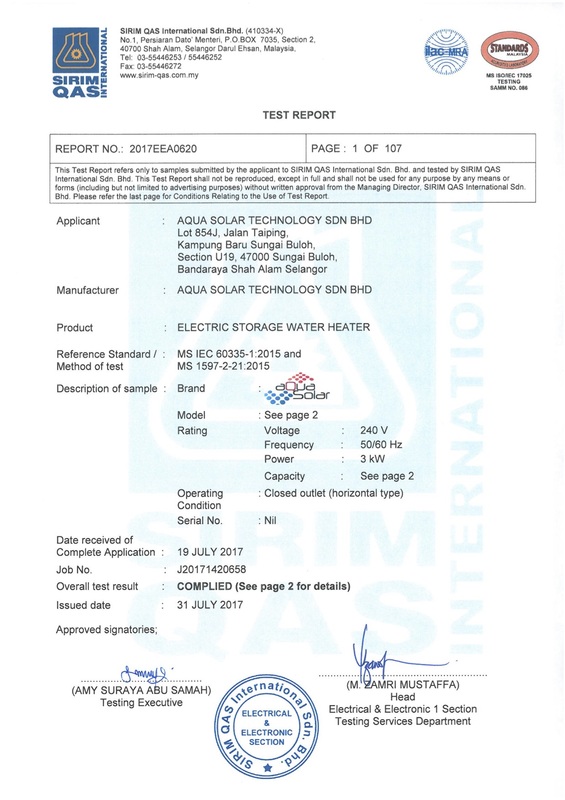 Our company evolved in production, dealer and installation of solar hot water system. Hence, we could always collect the client’s needs and providing the best hot water solution for their requirements and budget. We offer a solar system solution including design, supply, installation and maintenance. We service the domestics, commercial and industrial sectors. 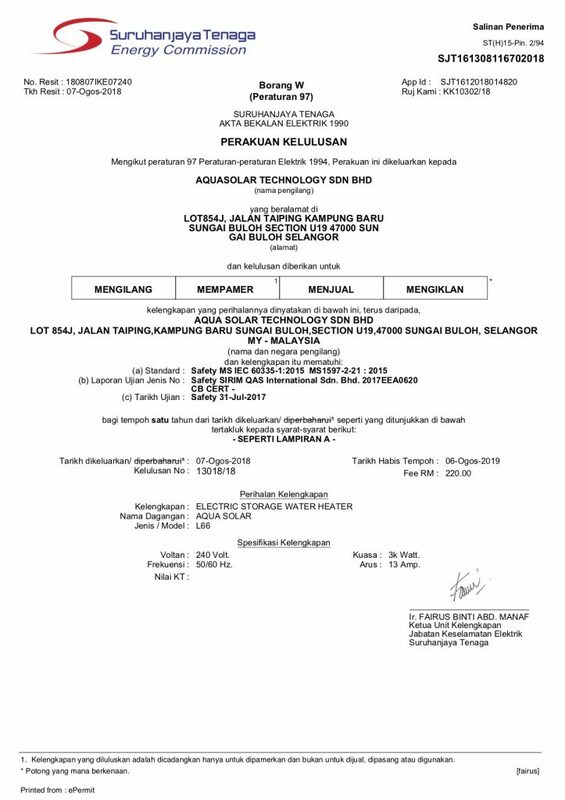 We experience in hot water generation ranges from assessment, design, supply to installation and maintenance of energy efficient hot water systems. The company is steered by 4 directors, with unique and complementary strengths, skills and expertise. We continually strive to improve efficiency in all areas of our business, from sourcing the best products, expertise and staff to our operating processes. This has lead us to have a long standing reputation for technically sound designs as well as professional customer service. Our diversified product range can be categorised into AquaSolar, Aquarius, Swimming Pool and Hibrido. Our commitment to extraordinary service, professional integrity and exceptional workmanship will lead us to becoming the preferred solution provider of energy efficient water heating systems in South East Asia. We are committed to efficient and professional service from consultation to design and installation. We assist our customer to invest in solutions that save money, electricity and our environment. Our vision serves as the framework for our Roadmap and guides every aspect of our business by describing what we need to accomplish in order to continue achieving sustainable, quality growth.